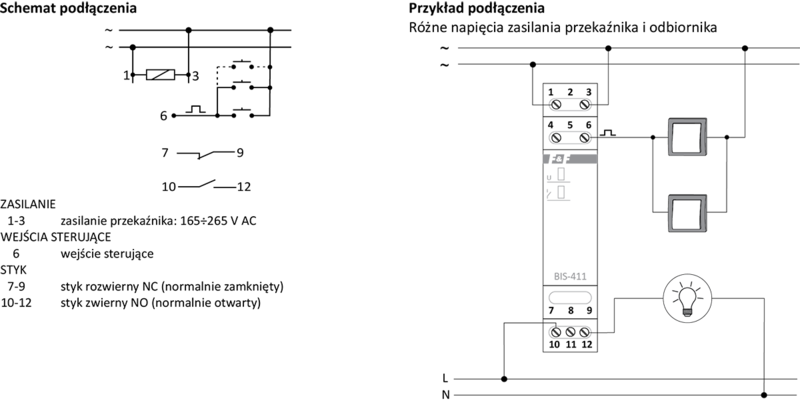 Single-channel with two independent working contacts: 1 x NO and 1 x NC. Power supply 230 V AC. Maximum load 2 x 8 A. On TH-35 mm rail. Can be used with backlit buttons. 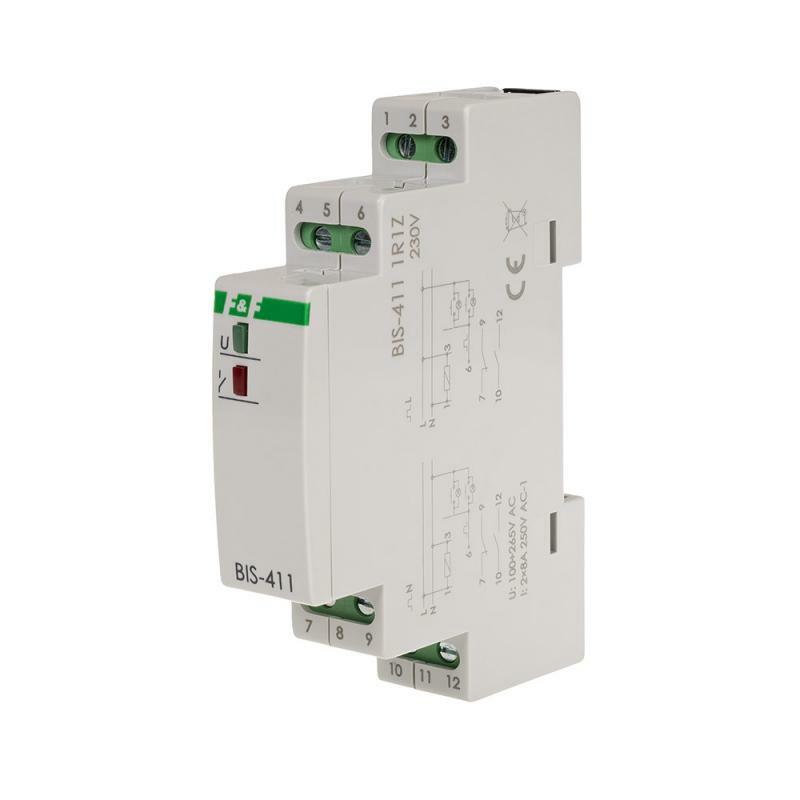 The BIS-411 1R1Z (230V versions) compatible with bell pushes equipped with fluorescent lamps.